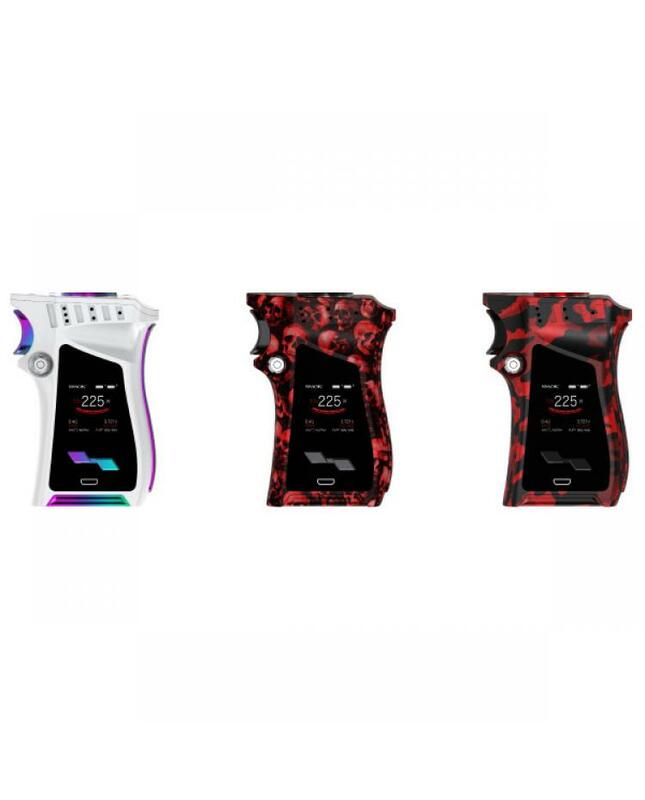 Smok mag mod right-hand version, 11 fashionable colors available, the smoktech 225w vape mod with ergonomically design, fast and furious, lock and load.the mag mod with gun-handle style, adopts exquisite small fire key, like the triggers of a gun, can press the triggering button easily. the smoktech mag uses a flower-shaped button for battery installation, vapers can even hear the pleasant sound that a real gun can offer you. 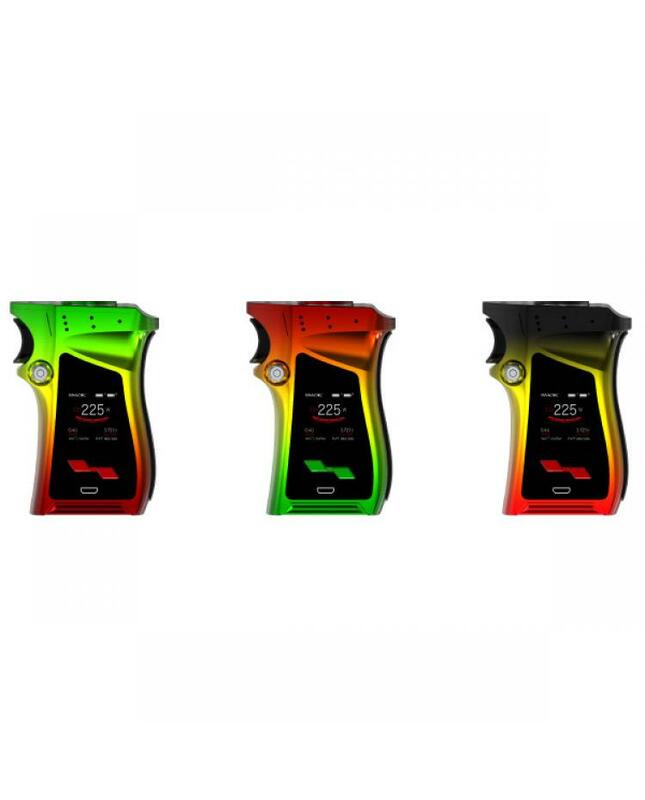 the mag 225w box mod powered by dual 18650 batteries and max output 225watts, supports resistance as low as 0.05ohm, vapers can select the three working modes, the temp control can enhance consistency and taste every puff, the watt mode is perfect for cloud chasing, memory mode can be your intelligent partner. 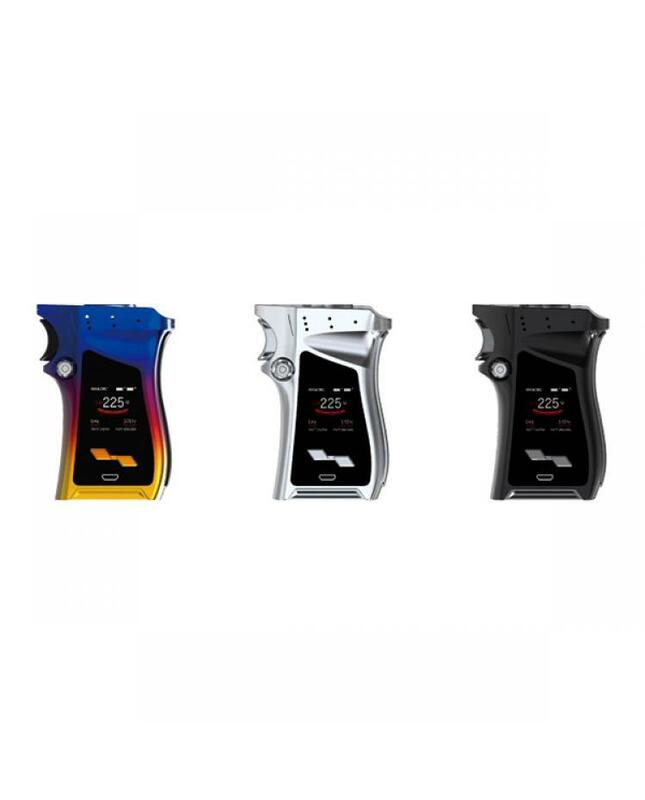 the mag mod adopts high-definition OLED screen, can show you specific vape data in clear ways, such as working modes, vaping effect, voltage, battery life, resistance value etc. recommend works with TFV12, TFV12 prince tanks, will bring you better vaping experience.